The kids will tell you that yoga is, most importantly, great fun! While parents will more likely point to the noticeable psychological, emotional and physical health benefits from starting this playful version of yoga at an early age. 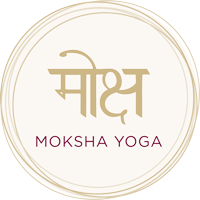 Moksha Yoga’s highly regarded Children’s Yoga Course provides a fun and nurturing environment where play interweaves with physical activity to develop confidence, cultivate positive values and promote greater inner harmony. Practicing yoga has also been proven to enhance concentration and improve sleeping patterns, while reducing symptoms of anxiety, depression and behavioural imbalances. The course runs weekly for the duration of each school term, with every imaginatively themed class combining an inspiring blend of interactive games, coordination exercises, yoga postures, mindfulness practice and breathing techniques. Registration and payment is required prior to term commencement – secure your spot today as places tend to fill quickly! Don’t hesitate to contact us if you need any further information. *Missed the start of the term? It’s still great value per-class to enroll for the full term a couple of weeks in, or feel free to contact us at any time to discuss the best option for your child!